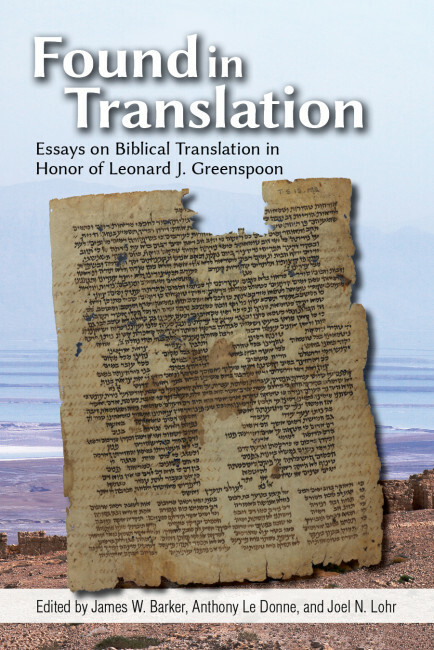 "The wonderful essays by the leading scholars of biblical translation collected in Found in Translation honor Leonard Greenspoon by illustrating the problems and importance of translation. 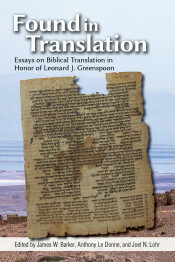 Most of us think of the translation of the Bible as only a diminishment of the original; the chapters of this book illustrate just the opposite—how significant and complex translation is, and how crucial it has been for keeping the Bible alive and vibrant." James W. Barker is an assistant professor of New Testament at Western Kentucky University in Bowling Green. Anthony Le Donne is Assistant Professor of New Testament at United Theological Seminary in Dayton, Ohio. Joel N. Lohr is the president of Hartford Seminary, where he is also a professor of Bible and interreligious dialogue.